After running my first half marathon this year, I could feel the effects that the mileage took on my body and my left knee. I decided it was time to be more kind to my joints, while still maintaining my training and physical fitness. I tried aqua aerobics, but didn’t feel like the class was the challenge I was looking for. Then, I discovered aqua spin. If you like swimming and spin class, you should definitely try aqua spin. It combines water aerobics with spinning, which creates a challenging workout. It is such a fun way of exercising and has numerous benefits. 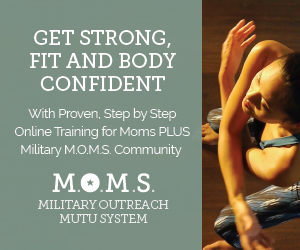 Strength 4 Spouses is a participant in the Amazon Services LLC Associates Program, an affiliate advertising program designed to provide a means for sites to earn advertising fees by advertising and linking to Amazon.com. Several links within this post will connect you with products I recommend on Amazon. By clicking on the link and making a purchase, yours truly will make a small commission. Like any water exercise, aqua spin is better for your joints. In most classes, you are not only working your lower body, but your upper body as well as your core too. Your entire body gets a great workout. According to Daniel Jackson (2017), at exerciserig.com “Aquatic cycling’s main advantage is its ability to reduce the amount of fat stored in your body. On average, 800 calories are burned within an hour.” In addition to burning calories during this awesome workout, you can also expect less soreness than you get from other intensive workouts on land. Aqua spin will make you tired, but your soreness will be limited. At Fort Bragg, there is a nice indoor pool off Normandy Drive with several aqua spin class options on Tuesdays and Thursdays offered by MWR (Morale, Welfare, & Recreation). 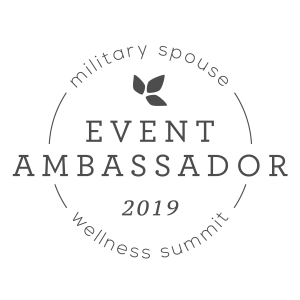 Click here to see the full schedule and read more details. I guarantee it will be the best money you have spent all week. 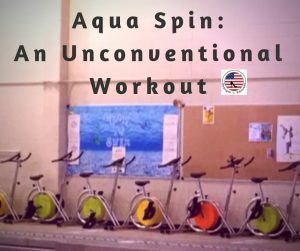 If you aren’t in the Fort Bragg area, check your local gyms with an indoor pool to find an aqua spin class near you to try. I tried aqua spin almost five months ago and have been hooked since. It is a challenging enough workout and it feels good on your body. After adding this class once per week into my workout regimen, I could definitely tell a difference in my body. You feel amazing after this workout and the benefits are tremendous. I would highly recommend adding it into your weekly fitness routine. 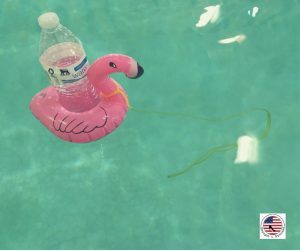 Due to my belief that water intake is necessary during all workouts, I found a way to bring my water in to aqua spin with a floating drink holder. Click below to order one and be sure to attach a string to your float and loop around your bike handle so it doesn’t float away. Have you tried an aqua spin class before? Feel free to share it with us in the comments. 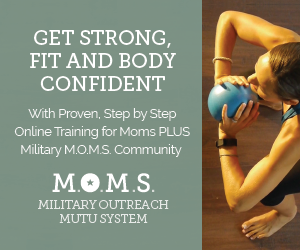 Do you have an unconventional workout you would like to be featured on the blog? Complete the contact form by clicking here and we’ll be in touch. Aqua Spin is awesome! You don’t even know you are working out! Aqua spin sounds amazing!!! I love water aerobics and spin, so aqua spin is the perfect combo!!!! Thanks for sharing!!!! You would love it! It’s challenging enough and offers so many health benefits.